Kennedy Villard pitches his business to judges at the third annual GOJA-iChange FIU Social Innovation Challenge on March 27, 2019. When Kennedy Villard brought his first car to school in 2017, he was shocked by the parking pandemonium he endured trying to find a spot. After talking to students, he realized others have experienced the same problem. Villard decided to do something about it. Villard, a senior studying broadcast media and international relations, invented an app called Headlight, that helps commuter students find spots efficiently and quickly. He said it was important for him, and will be important for future entrepreneurs to constantly gather feedback on their products. 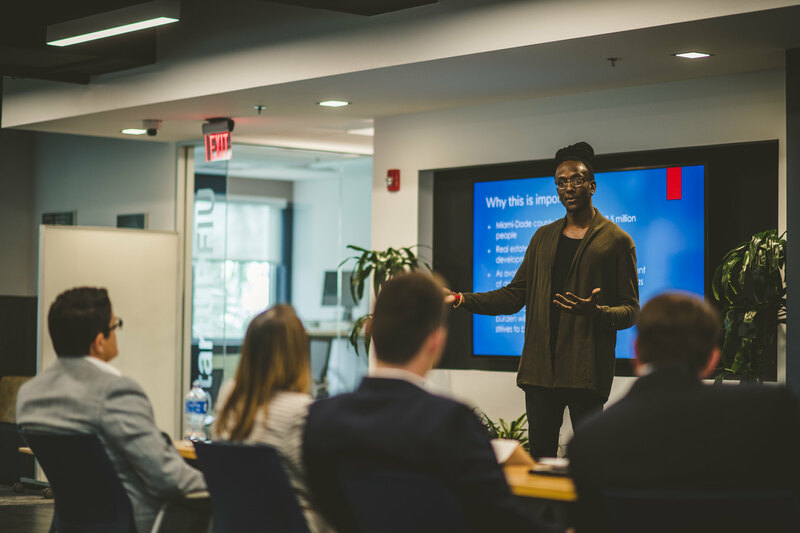 Kennedy, along with four other groups of student entrepreneurs, culminated a full academic year of ideation, learning and experimentation at the GOJA-iChange FIU Social Innovation Challenge final pitch event on March 27. The event was part of Changemaker Week: a university-wide initiative to engage students in social innovation and entrepreneurship offered by the Office of the Provost, the Center for Leadership and Service, the Honors College, the Office of Global Learning and StartUP FIU. Students pitched innovative solutions to complex social issues in front of judges for the chance to win one of three prizes to support their project. 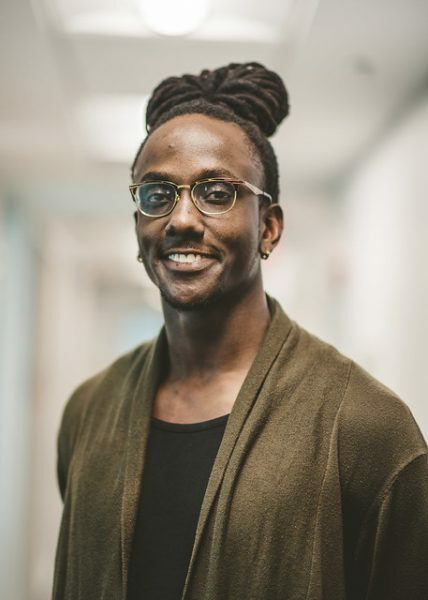 Kennedy Villard pitched Headlight to judges at the third annual GOJA-iChange FIU Social Innovation Challenge on March 27, 2019. After that, it’s important to gather and crunch the numbers, he says, before attempting to set anything into stone. “Plan, plan, plan. Experiment, send out tests and surveys, collect a lot of data, spend a lot of time preparing to put it out there,” Villard says. Villard is not studying business, but he set out to show judges that he has skills that can be marketed to investors and employers. Kennedy won third place, a $1,000 award to further his project.